I’ve been working in the dating and relationship industry for over ten years now. In that time I’ve helped thousands of singles find love. I’ve seen many dating agencies come and go so I know the ones that really work for you. Let me find the dating agency that can find you the partner of your dreams. Are you struggling to find a suitable partner? 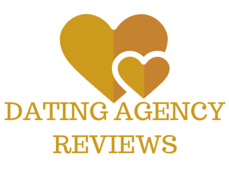 Want to make sure you join a trusted agency? This site only recommends the very best dating agencies, including many London introduction agencies. Vetted by the UK’s leading Dating Expert. Need more information before signing up? If you want to make sure the dating agency you are interested in is definitely the right choice, you can get free information here. If you are thinking about signing up to an introduction agency, you must make sure you find the right one. They are a fantastic way to meet other single professionals who are serious about settling down, but joining a dating agency is not a cheap option. So I’ve set up this new free site to help you determine which one is best for you. I only recommend dating agencies that I’ve actually met and work with, so you know you can trust them. If you are a single Asian professional looking for the very best Asian Dating agency, this is for you. As I work with these matchmaking companies, I’ve arranged a special discount with some of them. This can only be found by coming through me as most companies never do offers. I’m going to answer your questions about how dating agencies really work. I’ll have regular blogs, advice pages and interviews with the matchmakers themselves. If you join my free newsletter I’ll make sure you are the first to know when these appear on my site. I’ll tell you exactly what you must ask the dating agency when you speak to them on the phone or arrange your consultation. You can’t afford to miss this. Coming Soon: My easy to view agency pages make it quick and easy to see what each agency does. I’ll tell you their unique selling points, the average cost and what makes them different. I coach on a one to one basis. I am available as a Relationship Expert all over the world. Talks, Quotes, Interviews and Brand Promotion. I’ve written several best selling dating books. James is completely independent and does not work for any one dating agency. The advice you get is completely free but it’s up to you to make your own mind up. He is in no way liable for any decision you make. Sometimes, agencies may pay James a small commission for referring a client.